"There have been no miracles and there has been no cheating, I've just worked very, very hard... I've become like an African runner. In September and October I was doing 205 kilometres a week. I train three times a day: firstly, at 7am in the morning, again at noon and then another training session at 6pm." - Spain's Sergio Sanchez. He's going for the European 3000m indoor record and a sub-7:30 this weekend after running 4:52.90 for 2000m in January. We love the quote as he goes straight to the question many would ask: "Is he cheating?" Husky Invite - any big names and races? When was Houston awarded the Men's 2012 Marathon Trials? Are rich people better than poor people? What's the "wee oh wee oh" song? Ritzenhein and Flanagan Talk About Coaching Changes And Why Top US Runners Aren't Doing World XC Ritzenhein announces his 3 goals for 2010: 1. Return strong to the marathon, 2. Break 27:00 for 10,000m, 3. Win a medal at World Cross Country. Running fans couldn't ask for more in a non-championship year. LRC Defar 1/2 Second Away From World 5000m Record 14:24 Meseret Defar was the star of the show as she almost broke the world indoor 5000m record with a stellar 14:24. But that wasn't all... Abubaker Kaki made a strong debut in defeating Borzakovskiy, Ismail and Kiprop at 800, a new name Ethiopian ran 4:03 for the 1500 win (she also won the Boston 3000), Little Bekele ran 7:31 but lost to Augustine Choge in a deep, deep 3000m and Blanka Vlasic won again over 2m in the HJ. Recommended Read: Spain's Sergio Sanchez Going For Sub-7:30 Euro Record 3k - Great Quotes Spain's Sergio Sanchez looks to follow his stellar 4:52 2000 with a big 3000m time. He gives some great quotes about how he has achieved his highest fitness. He says he's not cheating, but training like an African and eating totally naturally. An inspiring read. Video Interview With Jeffrey Hunt We've given Hunt a lot of attention this week as he ran a 2:11:00 Aussie record debut marathon and his story is inspiring. Oregon State Making Small Steps Towards Adding Back Men's Track 6 football players are going to UW to compete this weekend. OSU Track was slashed in 1988. Britain's Jessica Ennis Injured - Won't Compete In World Trials She has a free pass to Worlds, so we're actually hoping this is just an excuse not to complete another heptathlon. Jacques Rogge Asks Russia To Stop Its Drug Cheats Jacques, they're not listening. Defending Champions Merga and Salina Kosgei To Return To Boston Marathon - Elite Fields Announced On the men's side it's not just Merga to watch out for. NYC Marathon 2nd-placer and marathoning great Robert Cheruiyot will be back as well. Look for a rematch on the women's side between Kenya's Kosgei and Dire Tune. Deribe Merga and Tilahun Regassa Headline 10 Men Under 60mins for Next Weekend's RAK Half Tilahun Regassa and Deribe Merga headline the men's field in what was rated the deepest, fastest road race in the world in 2009. It's not the richest as the prize purse for open competitors is approximately 1/20th of Zayed! 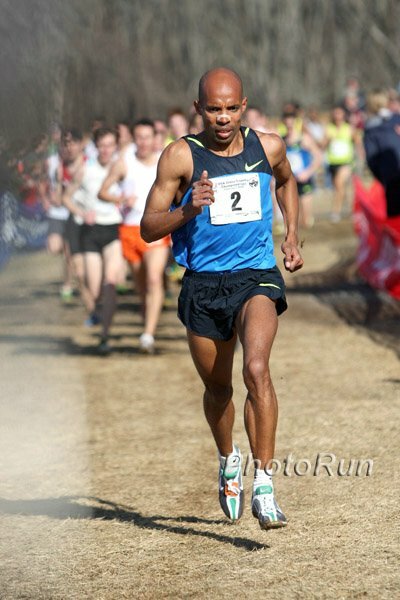 *2009 USATF XC Photos Last year in D.C. Meb K, Jorge Torres and Tim Nelson led the field. This year most of the top tier are staying home w/ the exception of Ritzenhein. *Dathan Ritzenhein As Fit As Last Year Leading Up To Berlin If he's 12:56 fit, he's far and away the best runner entered in the meet. MBoard Thread: Is there any reason Ritz won't dominate?